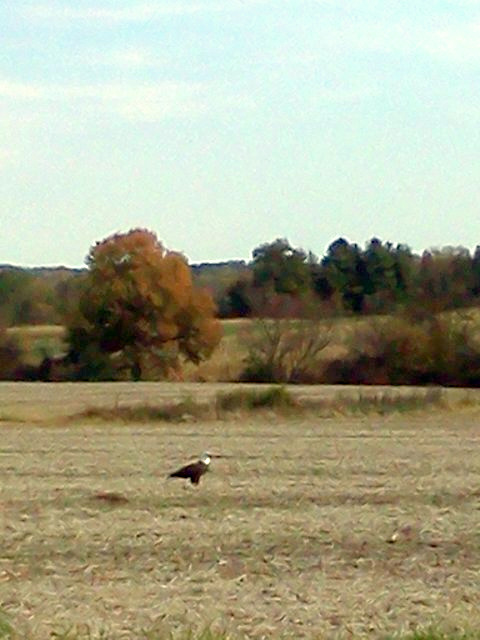 In the photo it looks far away, but really it was very close. Imagine spending Christmas in the peace and quiet of the country. You are in the fresh air, with good company, a roaring fire, and a bright star overhead. A hammock swings gently in the evening breeze. A lantern lights the words in your favorite book. If only life were so easy! 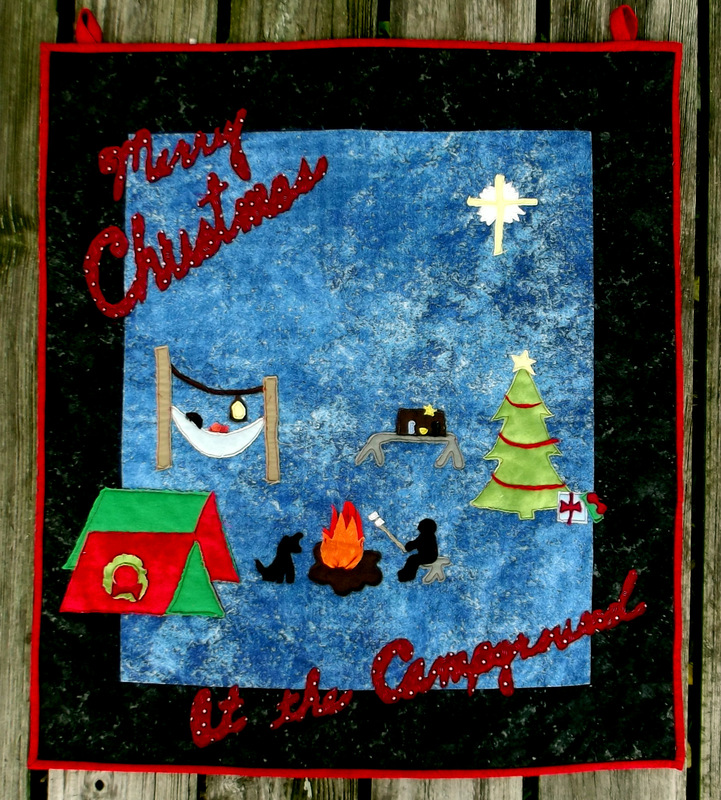 Here is a Christmas card from the Campground, in quilt form, to make and hang in your home. The pattern should be ready by next week and available at Maryland Quilter. A few weeks ago I decided to make a pattern of the quilt to sell in my shop. I thought it would be an easy project. The quilt was already made, writing the pattern should be a snap. I’ll just make another version of the first one, taking pictures and writing the pattern as I go. But then, as I looked at the quilt, ideas came to me. 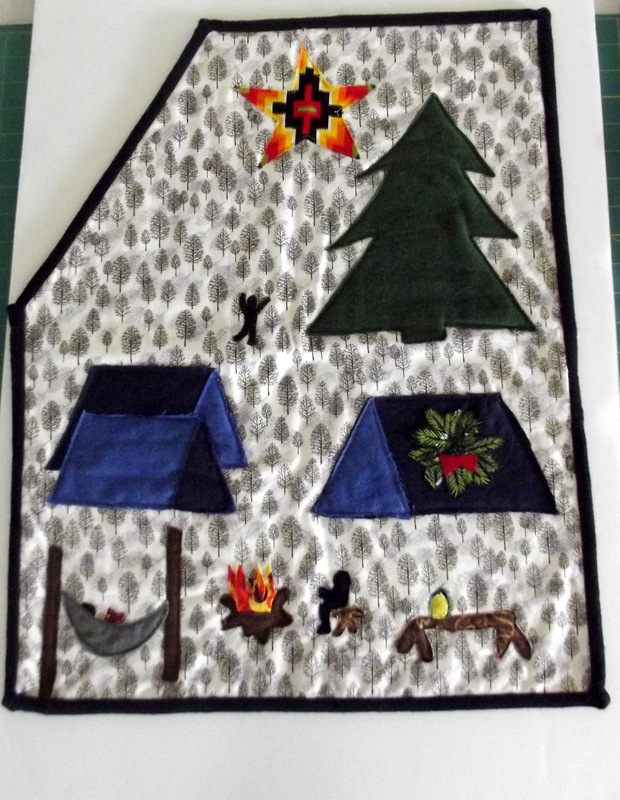 I thought, what if I just did this, added this, changed this, moved this, took out this, and pretty soon I had a completely renovated Campground quilt. It is taking me weeks instead of a couple days to complete and I’m not done yet. 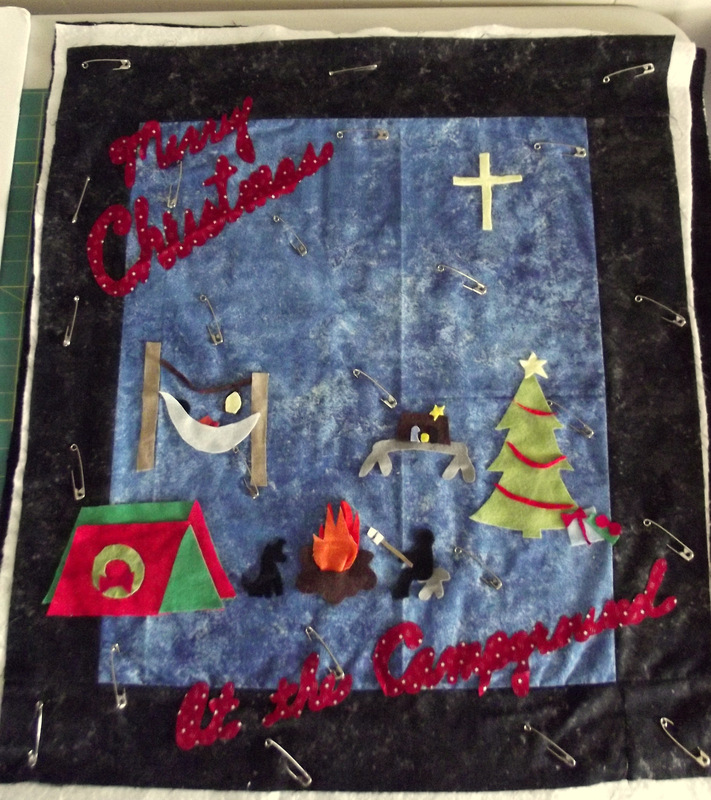 I hope to have the quilt and pattern done by next week. It is 90 degrees in Maryland today. The only ice and snow I can imagine is in a snow cone with grape syrup squirted on top. But the calendar says Labor Day is over, so pack up the swim suits and dig out the sewing machine. You know where it is, under the beach towels. Clear the sea shells and glue off the craft table, plug the machine in, stretch your fingers and start sewing! 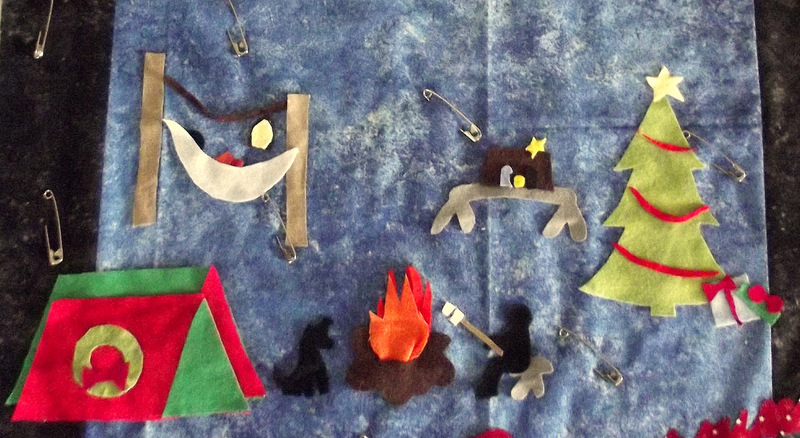 If you start today, you will have those cozy quilts made for Suzie and Jill and Billy and Mike. Work hard and you might even get around to Great Aunt Betty! I’ve done my part, I made the first quilt. I even made a pattern of it, just for you. 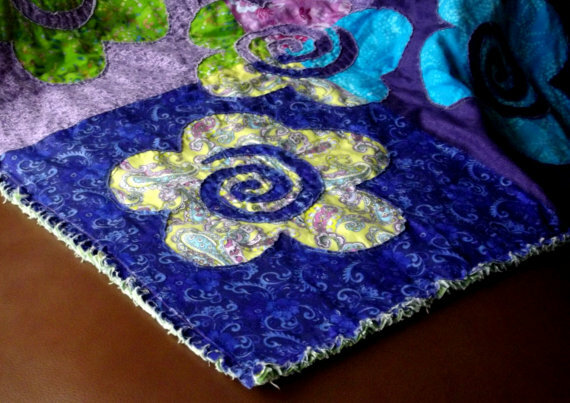 This quilt is so easy and fast to make, you really do have time to make one for everyone on your list. 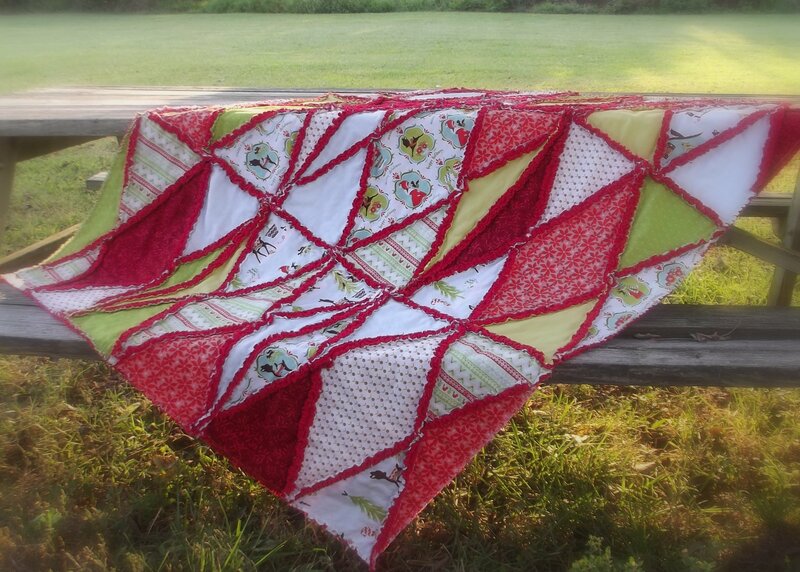 Here is the pattern: Christmas Argyle Quilt Pattern . 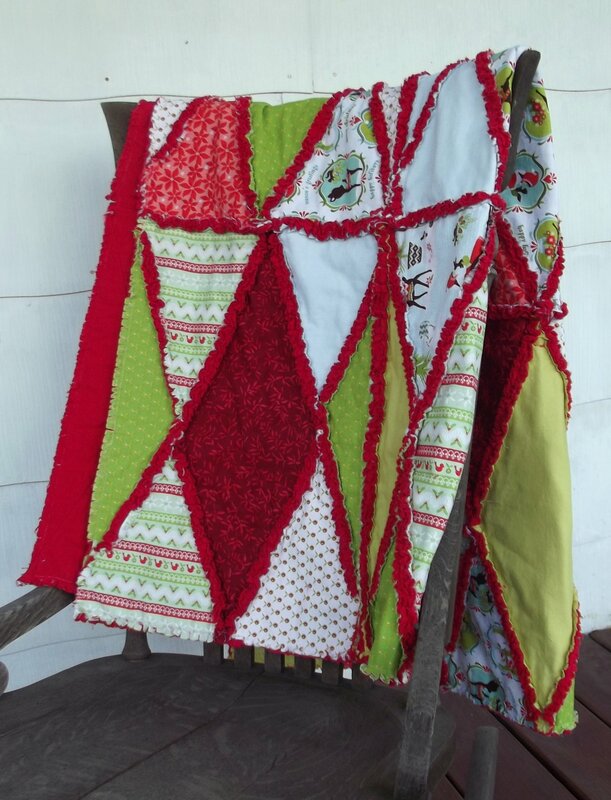 Here is the quilt, also for sale at Maryland Quilter: Christmas Argyle Quilt. The Maryland Quilter blog has been MIA this summer. The season was full of the usual dilemma of kids home from school, how in the world can I get any work done…. Then this summer we also moved into a sweet old farmhouse– which I love but, oh my, did I seriously underestimate how much stuff I had to move! In July, I took a sabbatical from quilting to help my sister install flooring in a log cabin. It didn’t feel like a retreat or a vacation, but it was surprisingly therapeutic. Now, this morning, the girls are happily off to school, the house is quiet, and I’m so glad to be back to work! Living here in Maryland the weather is often exasperating. Like Goldilocks’ porridge, the weather is either too hot or too cold. If the temperature is okay, then it is windy or rainy or just cloudy. Then there are those few days that are amazing. Perfect humidity, clear skies, chirping birds. You want to tell nature, “You got it right, now don’t stop”. Alas, nature has it’s own agenda. So, what can a person do? I have decided to forget about the weather. I will instead enjoy the flowers. They are more predictably beautiful. In fact, if you create your own fabric flower garden it will bloom in perpetuity. 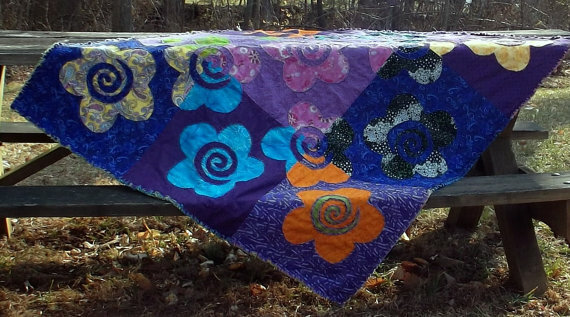 Here is a flower quilt to enjoy every day, regardless of the weather. 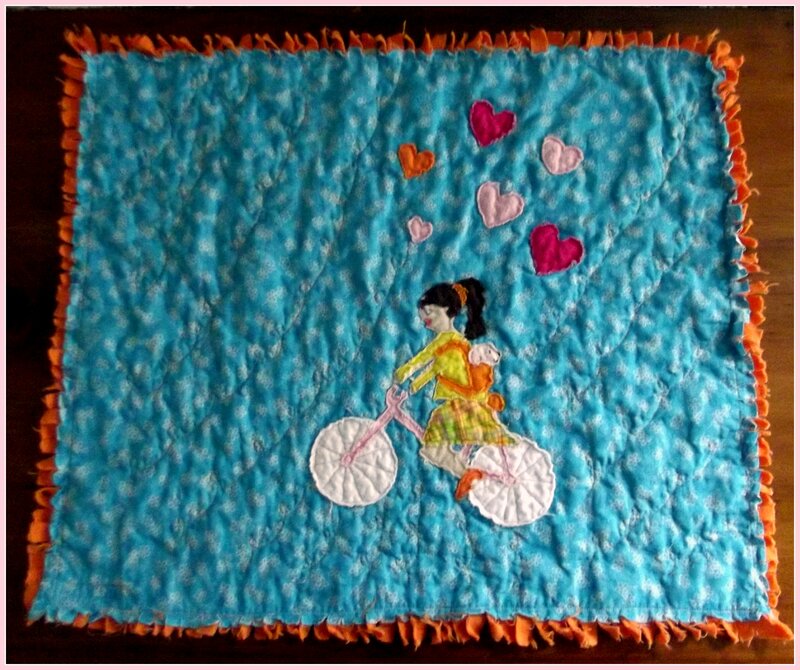 The quilt has been sold, but the pattern is available at Maryland Quilter. Sometimes I look too closely at the individual stitches in a quilt and forget to consider the design I’m creating. A good quilter keeps her eye on the details but always considers the entire tapestry. That’s not bad advice for living life, either. I don’t want the consideration of small tasks to keep me from seeing the big world around me. 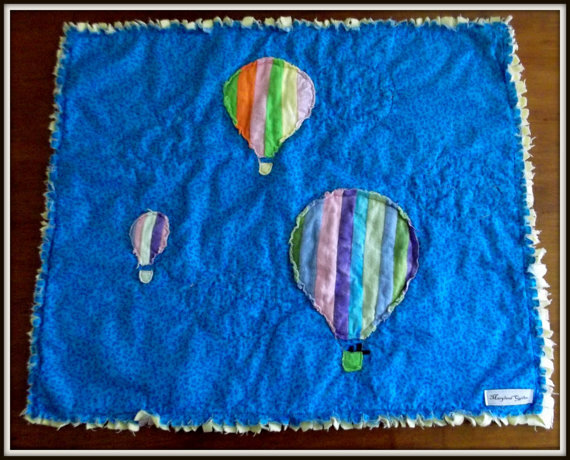 The mini quilt will fit on a counter top or hang on a wall. The completed quilt is available here The pattern is available here.